Fifty people have been extrajudicially executed by park guards in the last three years, at India’s infamous “shoot on sight” national park. Innocent tribal people face being shot, beaten, tortured and killed at the hands of heavily armed park officials. 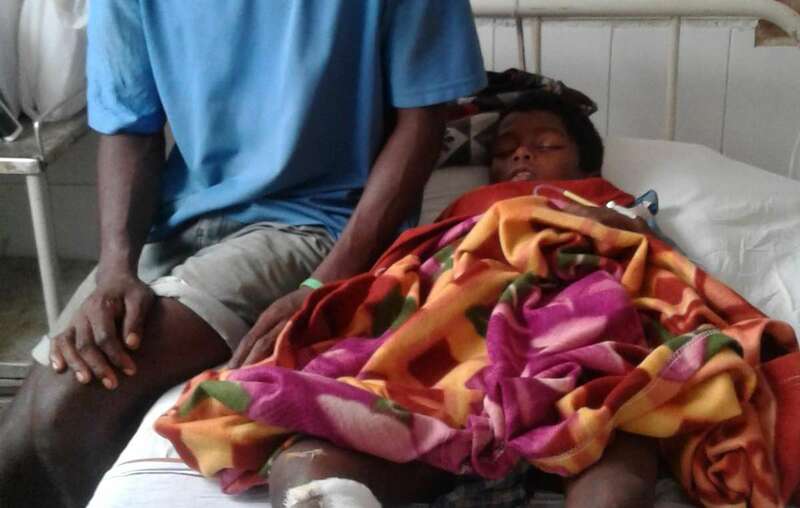 Last year guards shot a 7 year-old tribal boy. Akash (pictured) spent five months in hospital and is now maimed for life. All this is being done in the name of conservation. Kaziranga National Park promotes extra-judicial executions by encouraging guards to “kill the unwanted.” There are plans to introduce this policy in tiger reserves across India. Tribal people are already being beaten and harassed into leaving their forest homes. Arming the guards would result in even more violence against India’s tribes. But targeting tribal people diverts action away from tackling the true poachers – criminals conspiring with corrupt officials. Targeting tribal people harms conservation. It’s time for a global outcry against extrajudicial killing and torture in the name of conservation. It wouldn’t be tolerated in any other field and it should be loudly condemned by all those who care about human rights and the environment. Please write to India’s Minister of Environment and Forests, asking him to ban “shoot on sight” policies in India’s national parks and tiger reserves, to uphold the law and stop all evictions that don’t have the free, prior and informed consent of the tribal communities concerned. Emails sent: 5,101 Help us reach 6,000!